I’d overworked myself throughout the week and midway through really questioned who I thought I was. I was totally drained, angry, knowing it was my lesson and the only way to help myself was to step back and ask myself what I needed. “Honor where you are….” Lulu would say. “But the laundry and dirt in the house doesn’t honor where I am,” I would retort. Or the paperwork that was piling up that I kept ignoring. And how about that need to spend quality time with my kids, despite finding myself repeatedly apologizing for being so cranky and unpleasant. It was time to surrender. I made plans to walk with a friend on the day I had designated as my catch up day and figured that would be enough of a boost to keep going. It was a great start. Beautiful early morning, enlightening conversation…perfect. Afterwards, I told my friend I was going to take myself to breakfast and do some work there. Balance. Even better. Thanks for the idea Lulu. As I sat in the café where I had spent many days beginning to create my business, bringing in very little income, generating ideas and writing, I felt nostalgic. I remembered writing about my technique of taking the fear out to make major decisions and being proud of my work. I remembered the ongoing practice of employing faith into my everyday life as I rarely felt like I knew what I was doing. Instinctually I began to write about it, tears streaming down my face, in public…honoring where I was at. At the end of the written page I realized why I was there. 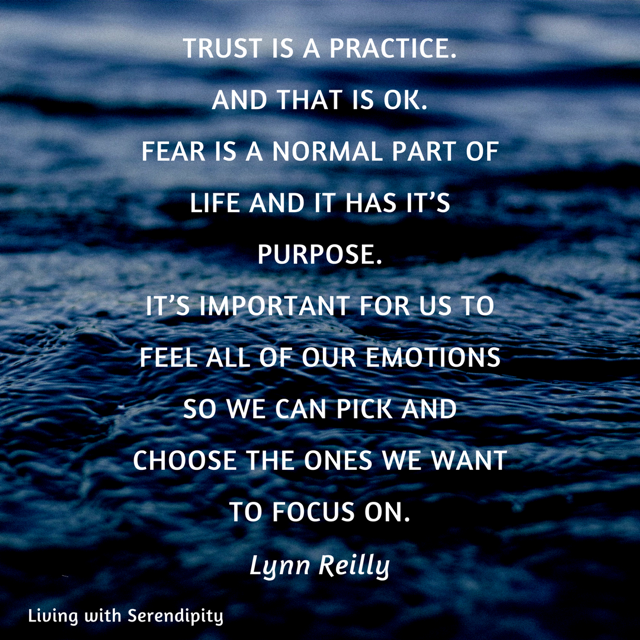 I was being reminded of the necessity of trusting in myself and how I felt. It was loud and clear, change was upon me again and my most valuable resource was following my own guidance. Got it Lulu. Thanks. Now help me wipe away these tears before embarrassment kicks in. It was then I knew I had to spend the day with myself reconnecting. I felt neglected. I felt depleted. I needed some space to love and honor my valuable time. The most important work I had to do was with myself. I drove off to my typical date day destination, a meditation bench that had special meaning for me. When I arrived I learned I’d have pay a fee to get in and I only planned to be there for 15 minutes. I quickly chose to turn around and recognized my need to change up my routine, to trust a new plan, to know I’d be okay. I let my heart be my guide, turning down streets I’d never been before, driving aimlessly, yet with clear direction. I drove down windy roads sharing a lake view, up hills displaying hidden orchards, down dirt roads that promised quiet contemplation. I text a friend telling her what an amazing day I was having and how I had no idea where I was but I was so happy with the freedom. I could not compare the feeling. I just felt…bliss. After steering my way back to a main road I had the vision of stopping at a winery. I wanted to do a wine tasting. I have no idea why. I was in yoga pants and a tee shirt, hardly dressed for this type of outing. Within three minutes one appeared on the side of the road. Seriously?? Taking the sign I drove in, ecstatic at the find. I didn’t even know what town I was in. The first woman I made eye contact with when I walked in greeted me like she knew me, and I felt like I was supposed to be there. After a brief conversation she realized she recognized me from my social media business page, AND her oldest friend was my friend I had JUST been texting. We’d never met. Can the world be any smaller? After a delightful stay and great conversation, she suggested I get lunch at another café down the road. Since I was on an adventure, I knew I had to trust the sign and go for it. I took off, directions in hand, gleefully on my way for what was next. After driving for at least 20 minutes I questioned if I had gone the wrong way. The sign welcoming me to the next state suggested indeed I had. I turned around and ventured back to my destination, learning I had gone in the entirely opposite direction. Typical flighty me not paying attention. I laughed at myself, enjoying my own silly mistake, although curious why Lulu felt I needed the extra mileage. The café was quiet and the food was as delicious as promised. l began jotting down notes of my day, wondering why I ended up there. Within 10 minutes, the small café was filled and I looked up from my table to see a friend who I met through my oldest friend. We had lived in the same town 3,000 miles away at different times, but had always found the connection uncanny. She came over to say hello and comment on how she admired the work I was doing. We were both 30 minutes from our homes, an unlikely destination to meet up. My heart elevated as I realized this encounter was why I was there. Had I not taken the “wrong” turn, spent extra time enjoying myself in my day, I would not have seen her. The timing was perfect, yet again. I did not go off course, I was exactly where I needed to be. Driving home, I marveled at the experience that shifted my energy completely. I felt rejuvenated, inspired and filled with gratitude. When we are most connected to ourselves, we are also more likely to fully trust ourselves in the decisions we make, a necessity for even the most day to day living. To understand and value ourselves is imperative for our emotional health and wellbeing. The key is to commit. Commit to being a priority in our own lives. Commit to respecting ourselves. Commit to being no less important than anyone else. Reconnecting with ourselves is by far one of the most important and simple ways to bring us the balance we require to live a life full of contentment. We deserve to be taken care of just as much as anyone else. But only we can decide if we will or we won’t. Honoring where we are and giving ourselves the gift of time to care for ourselves not only nourishes our spirit, it enhances the lives of those around us. The ultimate win win. Thanks again Lulu. My chatterbox mind was in full effect. One thought racing to the next. Which thoughts would dominate was rarely in question. They always come back to the “what ifs”, the “what’s nexts”, the “but how do you knows.” They are the familiar trio which can overpower the calming thoughts swiftly and easily. Most of the time, I don’t even know they’ve arrived until I start to feel my physical ease dwindle. I instinctually looked up at the sky, beginning the chant of thanks. I was grateful for the blue sky, the cool morning and bright glowing sun. I was thankful for the trees donning their green glory. I was thankful for my legs being strong enough to take me where I wanted to go and for the ability to even be out walking on such a lovely morning before my work day began. 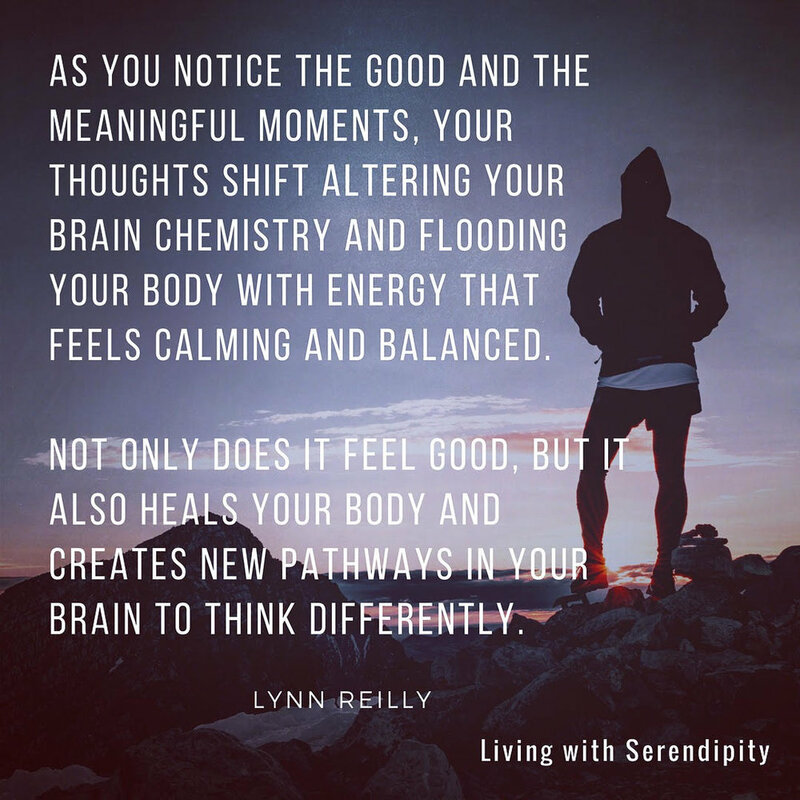 I felt my mood instantly elevate, the chemistry in my brain shifting with my thoughts. I kept going, listing small details, yet feeling a powerful sense of thanks for the beauty around me. I began to notice things I had not noticed before. Details that had likely been the same for the past two years I’d been on this walk, but didn’t see. I noticed how tall the trees were. They looked down on me lovingly with their wisdom and whispered their secrets of balancing the seasons of change. They had been rained on, snowed on, pushed constantly by wind and lost their leaves every year, but yet they continue to grow. They had withstood extreme cold and heat, been damaged by storms, broke branches and lost limbs, while watching others be taken out to make room for new houses, yet they stood taller one year after the next. They were strong and stable and made room for the new while the old fell away. Looking at them, you would not know how they sustained the cycles, they looked as radiant as ever. As I marveled in the divine strength around me, I felt my eyes well up with tears of joy and appreciation. The “what if’s” and “what’s nexts” were gone, replaced with the energy of gratitude and presence of my surroundings. And all it took was a decision. A change in thought. And follow through. It didn’t take two months, or two days or even two hours to adjust my perspective. It took minutes. With a quick alteration in intention, the world around me seemed to change. But it didn’t. I changed. I didn’t want to feel uncomfortable. I didn’t want to spin in anxiety and I didn’t have to. I made a choice. We do have the power to change our thoughts. We do have the ability to craft a life we desire. We do have the potential to have what our heart is telling us is rightfully ours. We just have to listen, accept and follow through. And we won’t do it perfectly every time because we are human, and that is okay. It is part of the enriching experience of being authentic and whole, but it’s our experience to create as we wish. Choice and creation is the strongest birthright we are gifted. What’s next is up to us. A few weeks ago I came to realize that I have been in survival mode for the past couple of years. Maybe not full blown survival mode, but always plotting and planning for what’s next and constantly assessing myself for my emotional and mental balance, as well as my financial security. This would be the result of my making one major life decision after another, which my father has pointed out, people just don’t do for a reason. But I did and they have been the best decisions for me. Not easy ones, but the best for my growth and long term well-being. I’m still learning from them, but I am finally at a place where my life has something that resembles structure and a bit more security. I have been craving this security so I wanted to acknowledge that it had arrived. The only problem, I don’t know what it feels like to be settled for longer than a few days. The thought of settling myself felt unfamiliar and disjointed, but important to try. So I started to make lists of what I needed to feel more balanced. Most of it requires organizing and my busy little brain struggles with that one, but I’m working on it. I also noticed I was beginning to feel even more off balanced when I was trying to balance myself. I know, not cool. After a couple weeks went by I noticed I was beginning to feel a real energetic slump. 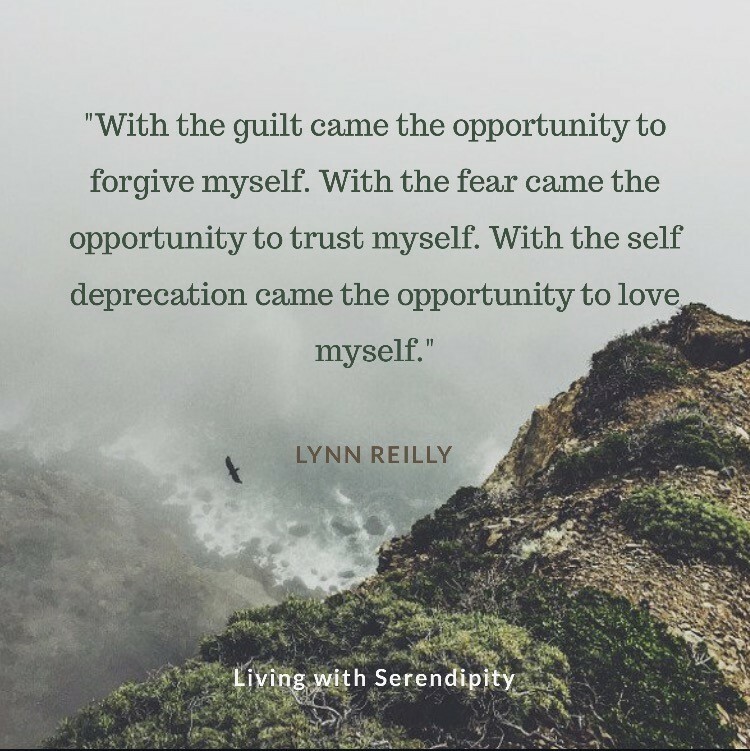 I listened to myself encourage my clients to reconnect and learn how to support themselves and it all sounded wonderful. I had done all of this before. I hit an emotional wall one day last week and begged the Universe for support. And then it was so obvious I was almost a little embarrassed…it was time to take care of me. I had been feeling disconnected and lost which meant it was time to regroup and reconnect. After all, I am the one I spend the most time with, I might as well enjoy my company. I questioned how I would support myself and decided to write them all down. The ideas flooded out of my head. Along with activities came introspective questions that were begging to be addressed. I needed time to do this, but time feels so limited these days. Yet in order to make this work for me I know I needed to commit. And so the 30 days of Me was born. I have been doing at least one thing each day that supports, empowers and helps me reconnect to myself and will do so for 30 consecutive days to create this behavioral habit. In order to fully commit to this process and create this program for myself (and in turn you) I am posting my daily questions and some of the activities I am doing on Facebook. If you are ready to reconnect to yourself (and you are!) follow along and commit to making it happen. Commit to you!! It’s been a week and I am enjoying this process so much! Start by creating a list of 30 things you can do to support yourself. My list is quite diverse including journaling, buying an outfit that empowers me, looking up inspirational quotes, reading the books I’ve been neglecting, watching a movie when I have other things to do, buying myself flowers, exercising, drinking tea in complete silence, making a list of my achievements, updating my business and personal goals, receiving an energy healing, getting a massage, connecting with my children…so many! I notice that it is when I need more time for myself that I typically blow off my self- care practices, which is why this is all so important. Sound familiar? My list of 30 things I can do to support myself is growing rapidly. And I am finding the more I do for myself, the more I enjoy myself even more. Isn’t it time for you to enjoy yourself? Obvi. First, I moved with my husband and our children from a home I loved for ten years. Shortly after, my husband and I ended a twenty-year relationship and marriage. With that separation, I made the decision to buy the house we had moved to, which on paper, I shouldn’t have been able to buy. Apparently ending a long commitment and beginning a large financial one on my own wasn’t enough for me though. The following year I resigned from a secure job to pursue a dream I hadn’t fully envisioned and started a business without projected goals. When I list out all the changes, I start to question my own sanity. I have never been one to make quick decisions, especially ones that I hadn’t thought through. I was raised by my father, a self-proclaimed workaholic, who spent his career as a high powered executive for a high risk industrial insurance company. I was not bred to believe in taking chances, to live on instinct alone, and to leave anything that resembled security. You just don’t do that. But something was stirring in me that kept me unsettled. I knew it was time to make changes, and I knew those changes were absolutely not guaranteed to work in my favor. I was scared—no, terrified—to alter the course of my life, but standing still gave me even more anxiety. How do you make the decision to change your entire life and know it’s truly right for you? 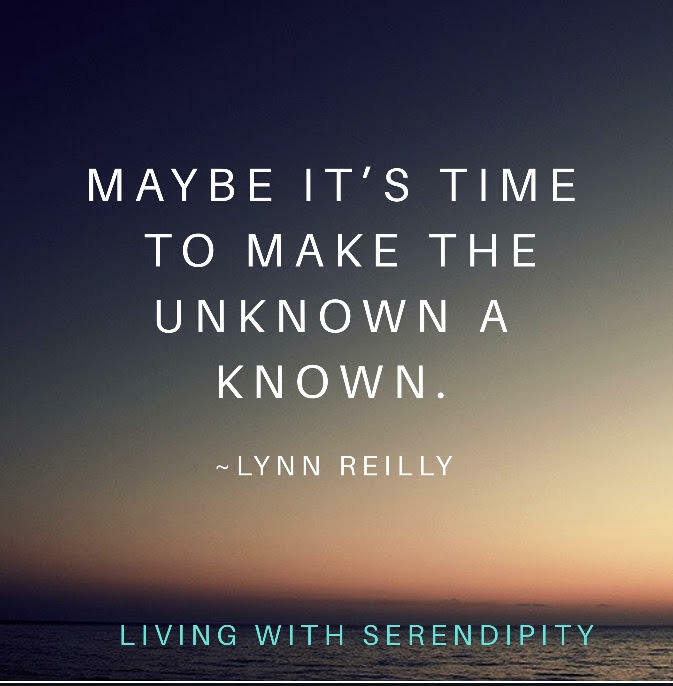 I have a secret, one that I’ve used consistently in recent years when making decisions that weighed heavily on me. I have been writing two or three paragraphs at a time for weeks on various topics and I couldn’t figure out why. I have so many things to share and ideas I know would be helpful, but I just can’t seem to get them out. And no matter how much inspiration I ask for, it’s just not coming. Why? Because as of late, my world is small. I used to write about experiences I saw and learned from others and right now, most of my experiences on a daily basis are mine and mine alone. I am in a healing phase of my life and have been for many months now. I have been processing years worth of discomfort while trying to get my life in order. It has been a wonderful time of growth and a challenging time of allowing the emotions to come up and out. I have had to look at my demons and question their purpose as well as hone in on my strengths to see what skills I want to sharpen. Most days I am equally focused and driven as I am lost and confused. The other day I woke up with a determined purpose. I had unfinished business regarding the end of my marriage I had to attend to and I’d been dragging my feet. I had been getting the not so gentle internal nudges, but I can be a turtle when it comes to finalizing painful things. This was one of them. I was feeling proud of myself mid morning for getting it done and then out of nowhere, the pangs of sadness started to jab at me. “No thank you,” I said to myself, “I’ve felt those already, we’ve been over this. Move on already.” I successfully pushed them down to move on to the next task. I had things to do. It had been snowing all morning and I decided I would get some fresh air and exercise and begin to shovel my 700 foot driveway. I had my music playing loud to drown out the thoughts and use my anxious energy for a purpose. It was cold and my back was sore, but that discomfort was nothing compared to what I felt brewing underneath. After thirty minutes of shoveling, I realized there was a layer of ice below the snow that was going to make clearing off the rest of the hilly driveway difficult. I stared down the snowy path and questioned if it was safe to even drive on. How will I get out? What am I going to do? How do I fix this? “Yes, but I could really use his help. He’ll know what to do.” I argued. “But he’s what I know. I can rely on him to fix this.” I wouldn’t back down. “Then go ahead and call him. Start the pattern again. You know how it goes.” I calmly replied. The urges were so strong and I felt myself crumbling under the pressure. One warm tear rolled down my cheek, then another…and another. Little waves of emotions seeping out of me slowly. I couldn’t stop them. They wouldn’t stop. I sat on the steps of my garage in the house I bought alone and sobbed. How did I get here? What am I doing? This is not the life I would have chosen. I felt completely defeated and alone. I prayed for help. I asked for support. I needed to pull it together. I took enough deep breaths to call my best problem solving side kick…my sister from another mister. As usual, she calmly took control and offered to fix my problem without even taking a breath. Only your closest friends can decipher your needs through your sobs. Seconds after I ended the call with her I heard the teenager I’d recently hired to plow my driveway come flying up it. I hadn’t asked him to come, he just did. Fifteen minutes later my driveway was cleared and additional help was on the way. Problem solved. Once the tears stopped, I re-visited the harsh questions I asked earlier. How did I get here? I chose this path. What am I doing? Following my internal direction that is stronger every day. This is not the life I would I have chosen?? This is exactly the life I have chosen and I knew it wouldn’t be easy, but I am exactly where I need to be and figuring it out as I go along. And forward I will go. As for feeling alone, I had help within thirty minutes of asking for it. That’s some seriously good service. I am never, ever alone. In my life as a counselor, a healer, a mentor, a mother, a friend, I find it easy to see the patterns in others. I can sense and solve a problem that is not my own in record time when needed. I can feel the pain in others and process it. I can also take the emotion out and see it for what it is. But when it comes to my own life, I am as human as it gets. Sometimes I learn from my mistakes quickly. Sometimes I have to repeat them numerous times in various ways to really, fully get the gist. But always, I am learning and growing and living and teaching everything I pick up along the way. I believe these are the growing pains of coming into my own authenticity. I can only imagine it will get easier with more practice and continued dedication. And if it doesn’t, I will always have more to learn and learning is one of my favorite things! For today, I am grateful for the opportunity to practice and to reframe and for the invaluable experience of learning how to heal myself.